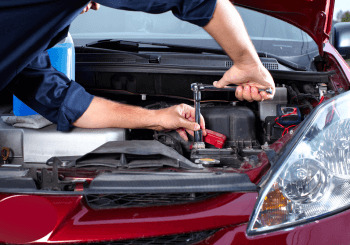 Half of Britain’s motorists neglect basic vehicle maintenance checks according to the National Franchised Dealer Association with essential check points including oil, tyres and lights often going under the radar. Perhaps most surprisingly, nearly 7% of drivers never complete routine vehicle checks, often through a lack of knowing when and what requires attention with 32% of drivers unaware of how often their vehicle should be serviced. Interestingly, 48% of those questioned said they would pay more for a fully stamped main dealer service log, indicating a sway towards a maintained & managed vehicle service history when purchasing a used vehicle. With nearly 50% of those surveyed also willing to pay £500 or more towards a used vehicle with a full service history it makes financial sense to set a regular service routine. From a safety perspective, regular maintenance, checks and servicing are the optimal ways to ensure a vehicle remains efficient and delivers the performance levels it was designed to achieve. Through pinpointing an issue in its early stages repairs can be actioned before they worsen and place pressures on other parts of vehicle, being a cost saver in the long run. The longer repairs are ignored the more they will set you back when finally fixed, with parts continuing to deteriorate. With a comprehensive car service comes a complete oil change, reducing the wear of the engine and keeping your car running as it should. Through an engine flush, foreign particles in the oil that would deposit and build up over time are cleared, especially from narrow oil passages. These remain clear & prevent oil flow blockages. As oil is the lubricant of the car that retains all the parts working in synergy, it is paramount this remains in an optimal condition. Also it ensures an unconstrained flow to all destinations, giving you the peace of mind and maximised re-sale value. Q. How frequently do I need to service my car? A. There is no set rule for when to get a car serviced, it is manufacturer dependent and specified in the vehicle handbook. Q. Do I need to get my car serviced by a main Dealer? A. Since October 2003 you are not obliged to get your car serviced by a franchise dealership during a warranty period for the warranty to remain intact. However, for the warranty to remain valid the vehicle must be serviced in accordance with the manufacturer’s recommended schedule using only manufacturer approved parts. Additionally, if you decide to get the car serviced outside the dealer’s network it is your responsibility to ensure the manufacturer’s recommended schedule is adhered to and approved parts are fitted, maintaining the appropriate paperwork yourself. For peace of mind and ease, warranty work should be completed by a franchised dealer as it’s easy for them to deal with a manufacturer and subsequently get the best deal for you and your vehicle. Q. When should the Cambelt be renewed? A. As with service intervals there is no set in stone time frame to replace a car’s cambelt, again this is dependent on what the manufacturer stipulates in the vehicle’s handbook. Often there is a time interval (i.e. every 5 years) or distance interval (i.e. between 30,000 and 100,000 miles), however a manufacturer can often revise these, meaning it’s important to check with your franchise dealership for any developments. Q. What are the advantages of using synthetic oils? A. Providing improved performance at high temperatures, synthetic oils are preferred by drivers who value vehicle durability and extending its overall life span. If recommended in the vehicle handbook it is best to use synthetics. Alternatively if you currently use traditional mineral oils and would like to change to a synthetic oil, it is vital that the current engine oil is fully drained and the two aren’t subsequently mixed.